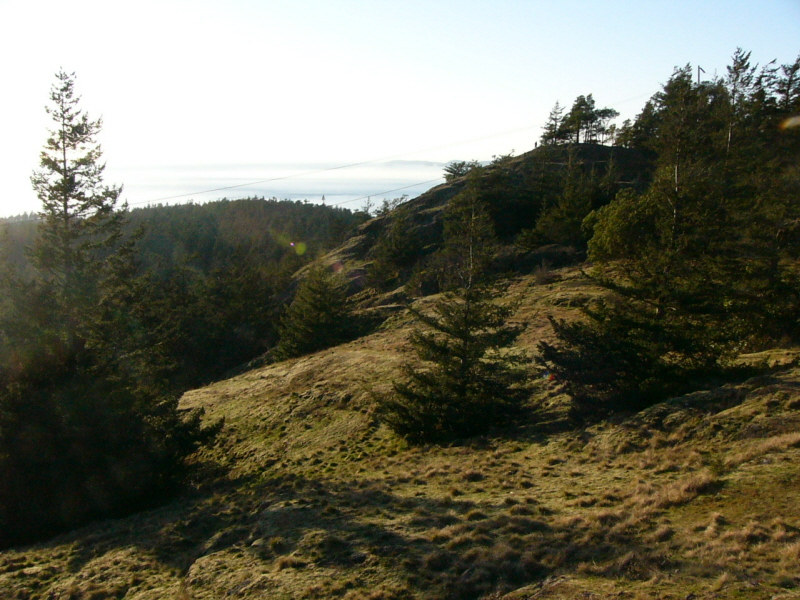 A short, steep hike (.7 miles) from the South Bridge parking lot will take you to Goose Rock, the highest point on Whidbey Island. 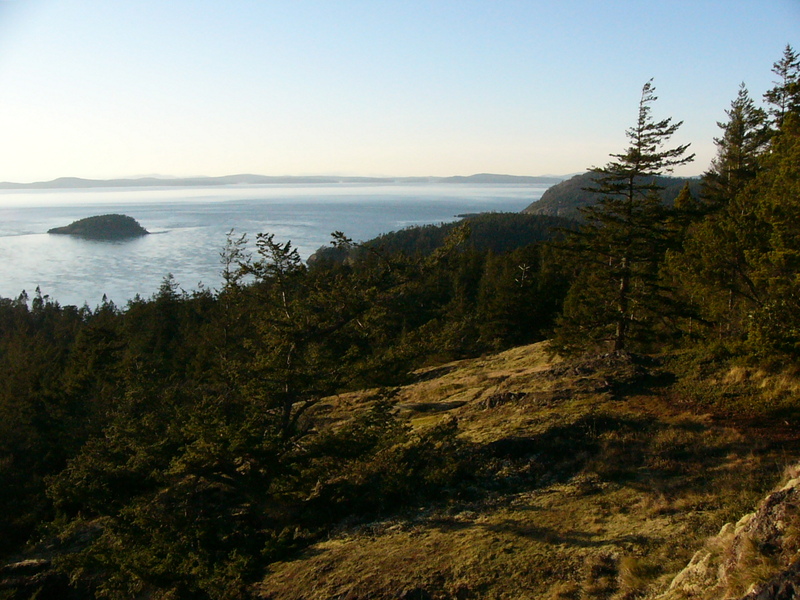 At 484 feet, Goose Rock has unrivaled views of Deception Pass and the surrounding islands. On a clear day you can even see Victoria. 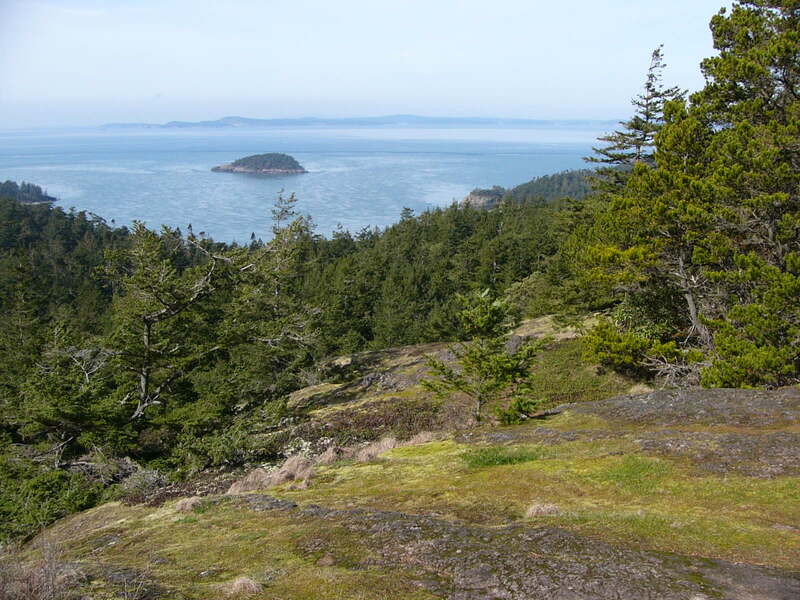 At the top of Goose Rock, hikers are treated to a rare glimpse of a unique ecosystem: rocky balds. Left behind by retreating ice sheets at the end of the last major glaciation, rocky balds are characterized by exposed bed rock (usually granite) with sparse patches of thin soil. Beautiful but delicate wildflowers dot the balds in the spring and summer. The Goose Rock balds are among the most impacted areas in the park. Please stay on the trail so that visitors can continue to enjoy this unique treasure. 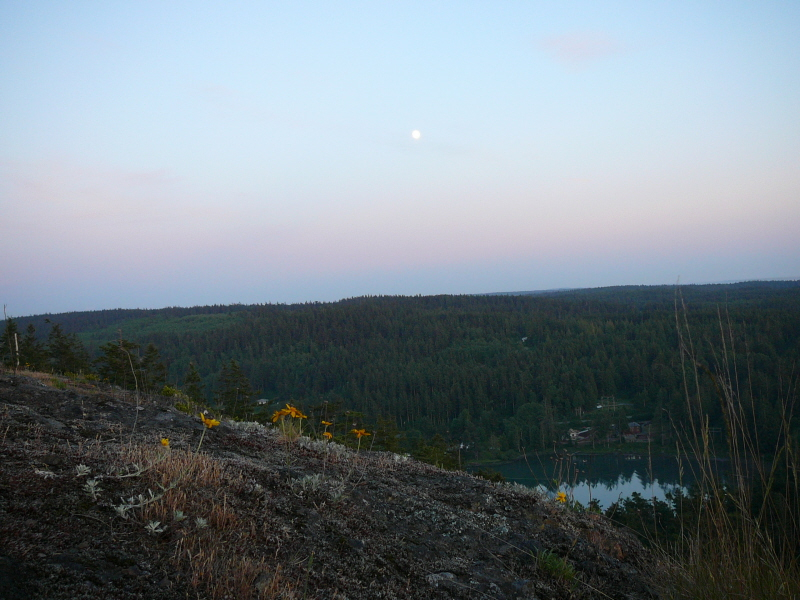 Goose Rock can be accessed via 4 different trails to the north, south, east and west of the summit. 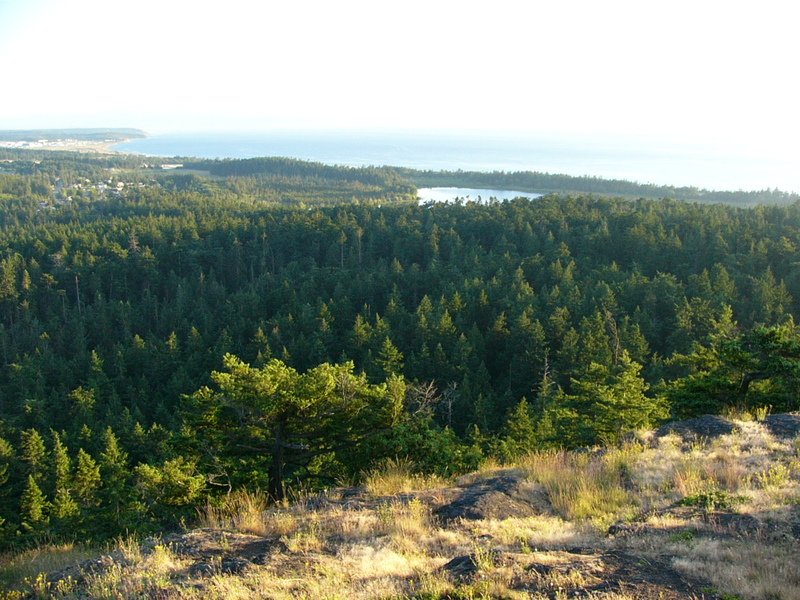 The Goose Rock Perimeter Trail runs along the eastern base of the peak and features views of Strawberry Island, Ben Ure Island, and Cornet Bay.